Offered for sale is this very well presented ground floor apartment in the popular residential area of Preston. 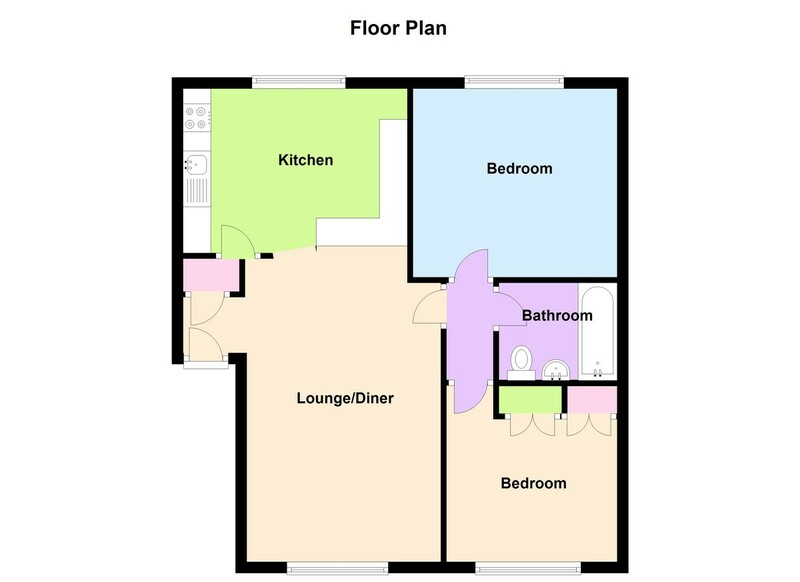 Comprising of lounge/diner, kitchen, two bedrooms and bathroom. Ideal investment as the property is currently let on an assured short hold tenancy at £695 per calendar month. KITCHEN: 13' 2" x 9' 3" (4.02m x 2.82m) Rear aspect double glazed window, range of wall and base units with work surfaces over, inset stainless steel sink and drainer, breakfast bar. BEDROOM ONE: 12' 0" x 11' 1" (3.66m x 3.38m) Rear aspect double glazed window, textured ceiling. BEDROOM TWO: 10' 0" x 8' 7" (3.06m x 2.64m) Front aspect double glazed window, textured ceiling, airing cupboard, fitted wardrobe. BATHROOM: 6' 11" x 5' 8" (2.12m x 1.75m) Side aspect double glazed obscure window, panel bath with electric shower over, wash hand basin, low level WC, textured ceiling.